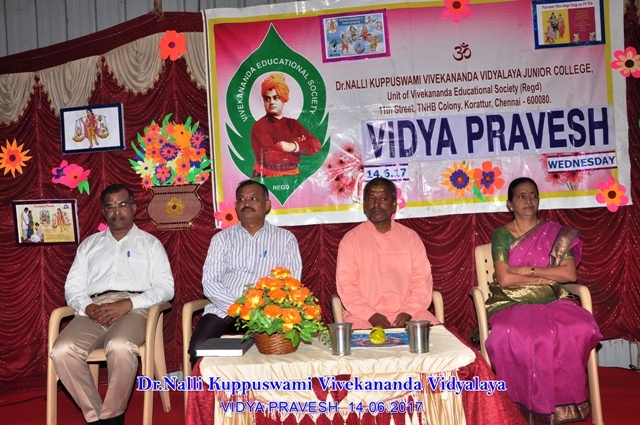 Vidya Pravesh was conducted for VI std students on 15.06.2018. Sri. 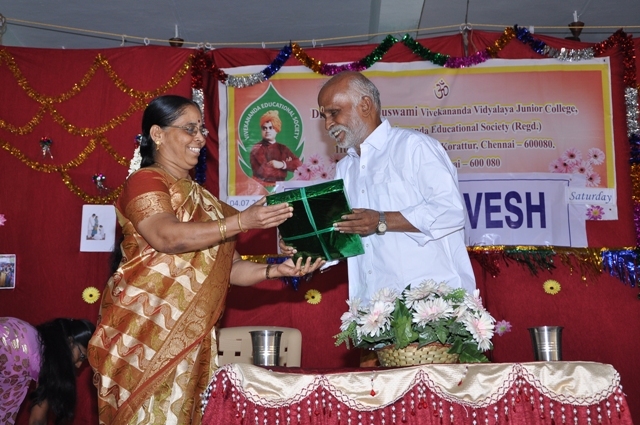 K. Ponraman Education Officer, VES was the Chief guest. In his speech, he has narrated the stories of famous personalities and also from the incidents of Swami Vivekananda’s life. 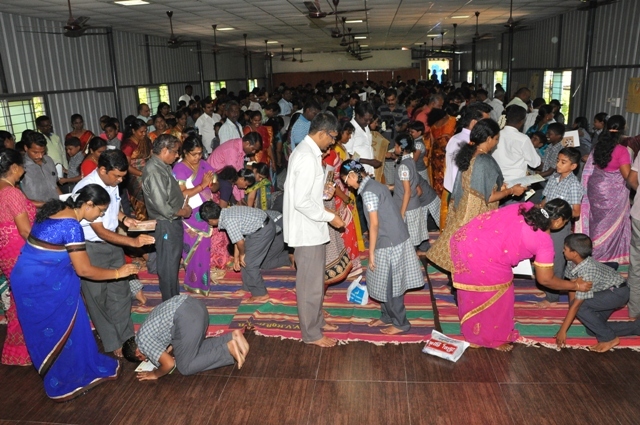 The students took oath and sought the blessings from their parents. 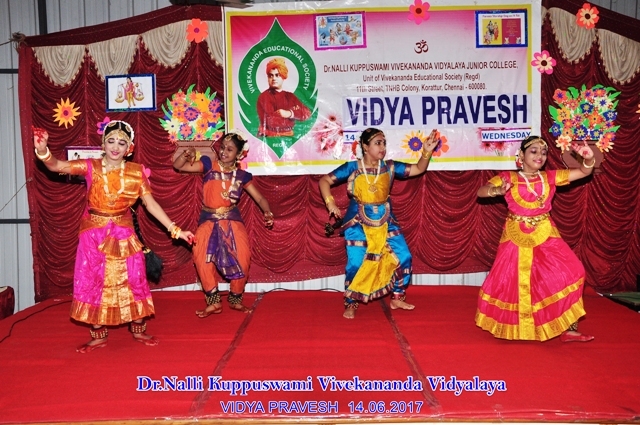 Vidya Pravesh is a unique programme for VI Students initiation into learning was held on 14.06.2017 (Wednesday). 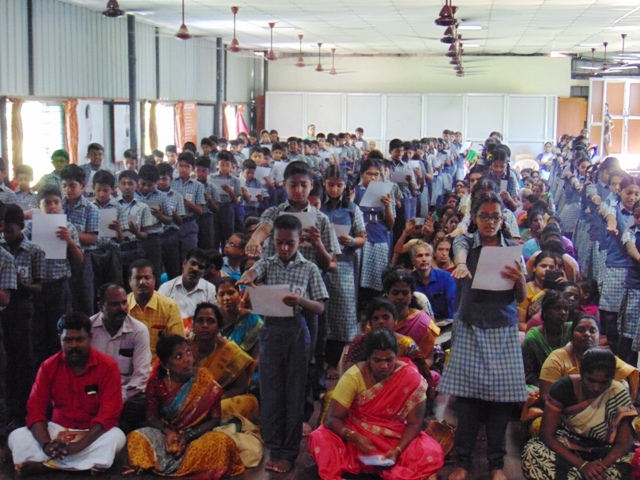 Students took a oath and got the blessings of their parents. Our Chief guest Swami Sureshananda from Chinmaya Mission offered benediction and blessed the children. Education is an important aspect of a culture. 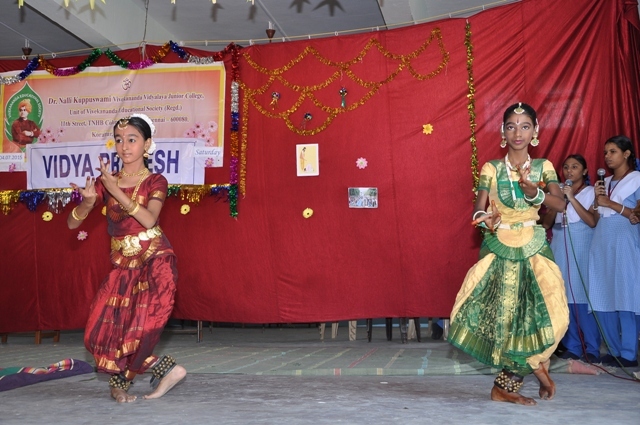 To step from primary level to middle Level "Vidya Pravesh" was conducted. 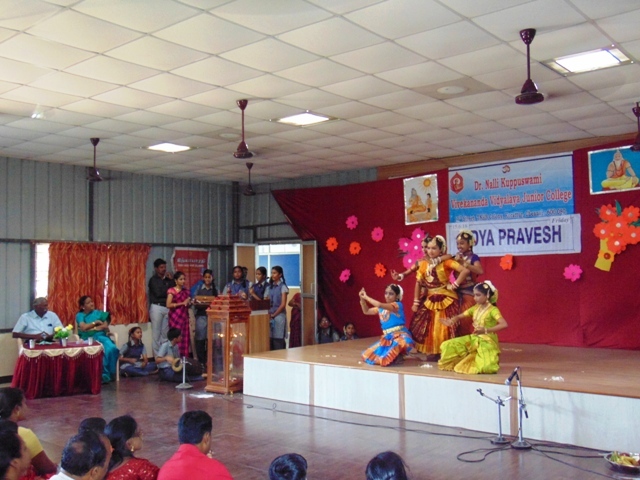 Vidya Pravesh is an initiation to education to our VI Std students. The parents of VI Std. 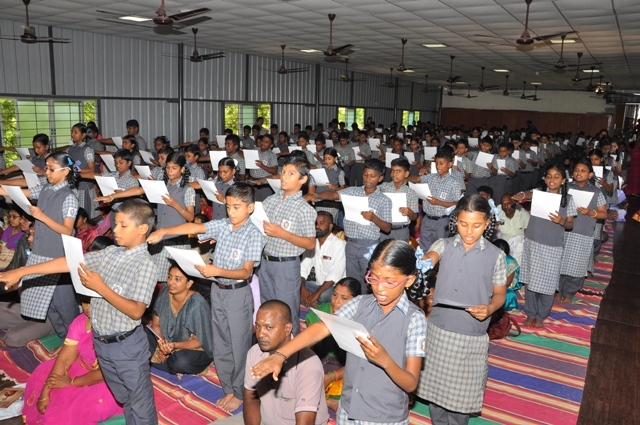 Students attended the function. Swami Apavarganandha Maharaj offered benediction. 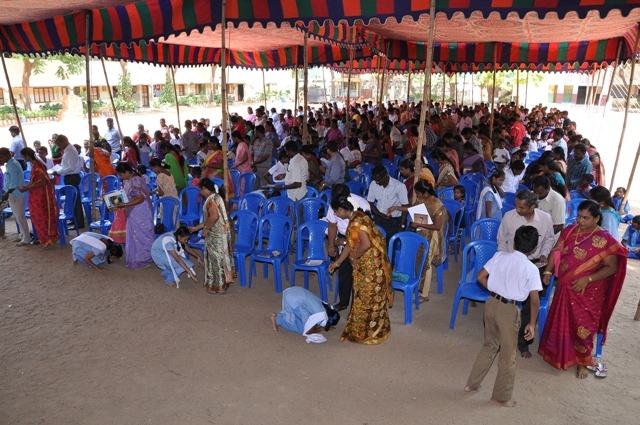 175 students read the oath and prostrated their parents and got their blessings. 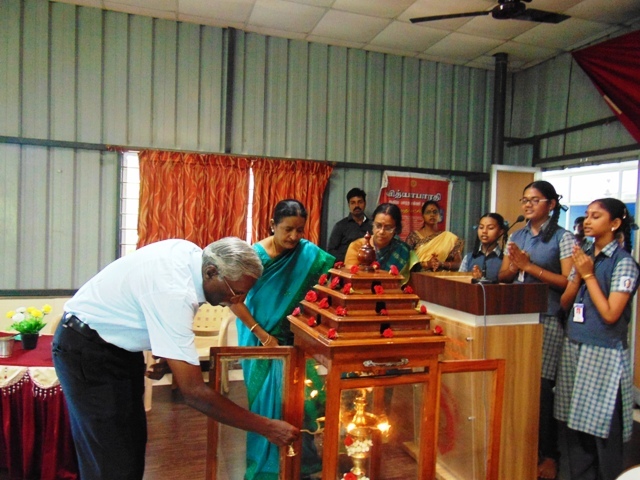 Chief Guest: Sri. Veerabhagu, Editor, Vijaya Bharatham. 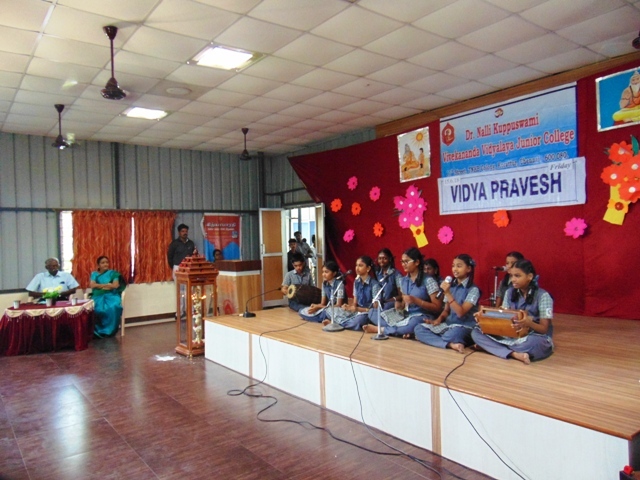 Vidya Pravesh is an initiation to education to our VI Std students. The parents of VI Std. 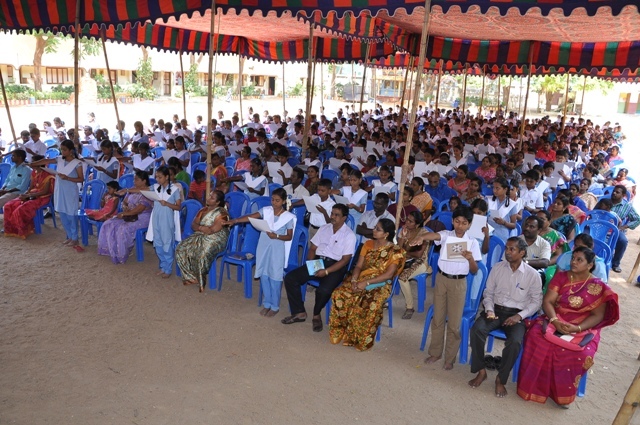 Students attended the function. Sri. 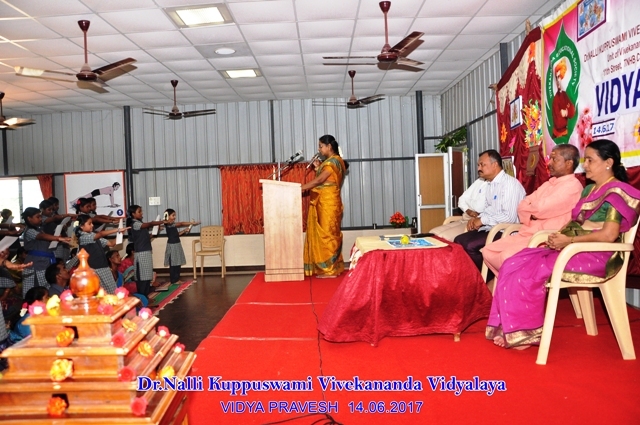 Veerabhaghu, Editor, VijayaBharatham addressed the students. The students read the oath and prostrated their parents and got their blessings.